A small flock of chickens provides you with delicious eggs and endless entertainment. All hens lay eggs with or without a rooster present, but it is important to consider breed variables, such as temperament and broodiness, when selecting which chicks to order from the hatchery. 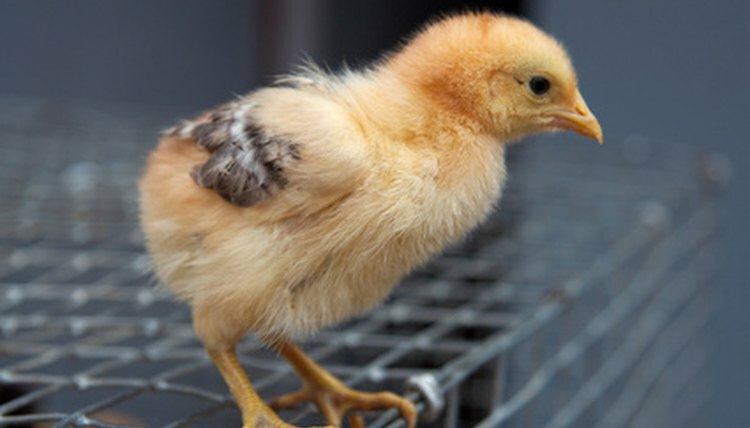 Your local farm store can also provide advice on picking a breed and ordering chicks. Match your chickens to your available space. Set up a flock of Rhode Island Reds if you have a spacious coop and space for the chickens to free range. Rhode Island Reds are a big breed and will produce many large eggs. Obtain Australorp hens if you have a small coop or backyard space. The friendly Australorp handles confinement well and produces many large, brown eggs. Procure Buff Orpington hens for any size coop, as these are docile and quiet medium-sized hens. Buff Orpingtons are hardy in cold weather and produce large, brown eggs. Do your research on egg sizes from different types of chickens. Obtain Plymouth Rocks if you want large eggs and high productivity. Cold-hardy Plymouth Rocks do well in winter conditions and smaller spaces. Acquire Bantam Brahmas if you want smaller eggs and good productivity. All bantam hens are small birds and do well in a backyard setting with little space to free range. Gather a flock of Leghorns if you want high productivity and large, white eggs. Despite their large size, Leghorns also do well in smaller coops. Procure Wyandotte hens if you live in a climate with a cold winter. These cold-hardy hens have small combs that are less susceptible to frostbite. Wyandottes are friendly and quiet hens that will produce large, brown eggs. In warmer areas, Minorca hens, large docile birds, tolerate the heat well and produce many large, white eggs. They should not be kept in small spaces. Gather a flock of Leghorns for any climate. These large, white birds tolerate heat and cold well. Compare breeds on broodiness -- whether the hens sit on their eggs. Set up a flock of Plymouth Rocks to make it easy to gather your eggs. Plymouth Rocks rarely go broody, so it’s easy to collect the eggs from their nesting boxes each day. Or select Rhode Island Reds as an alternative. Procure Buff Orpingtons if you are interested in a breed that can sometimes be broody. A broody hen may set on her eggs with the hopes of hatching them into chicks. If you have a rooster, this is a good way to grow your flock on your own.  Choose the personality that you would like your hens to have. Most hatchery catalogs and websites will list the temperament of each breed. This can range from "intelligent" or "quiet and affectionate" to "skittish".